28S-DMH-A07 this is a “28Standard” 4Ground model with high detail and pre-painted parts. This set of terrain is great for blocking line of sight and impeding movement in your games. 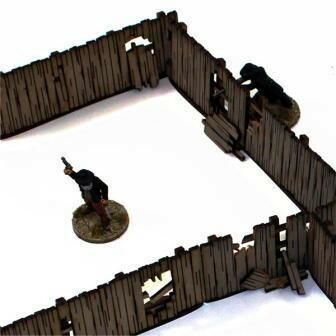 Providing over 42” of terrain for your battlefield and “heaps” of character these yard fences are a great way to change your game.